It is fully equipped and beautifully appointed for the ultimate 'home away from home' experience. It is perfect for one or two families or up to a group of 6 friends travelling together. It can also become a fully self-contained 1 bedroom studio for a cheaper rate, perfect for a couple. Upstairs has 2 bedrooms including 1 Queen bed and 2 singles, 1 bathroom, toilet and living area with kitchenette. Downstairs has 1 bedroom and ensuite, lovely open plan living area with modern kitchen dining and lounge. This area opens out onto a private garden courtyard with BBQ. It offers free Wifi , 2 x TV/DVD in seperate living areas, washing machine/clothesline, heating/cooling upstairs and downstairs, comfortable beds with electric blankets, Phone and Fire extinguisher for emergencies. Cot and highchair is available on request. Peppi Lane Apartment offers its guests a superb central location, within an easy three hour drive south of Perth. 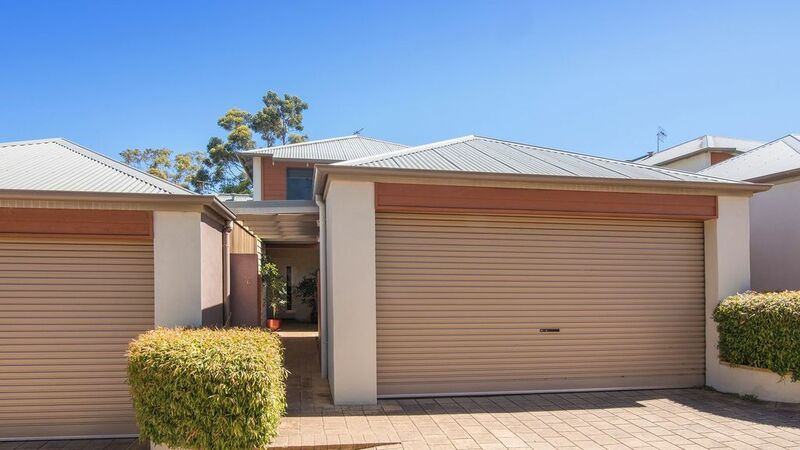 The street address is Apartment 6/12 Townview Tce, Margaret River, WA 6285. On approaching Margaret River, crossing the bridge, turn left at Higgins Street. Take the next right into Townview Terrace. The fourth property on the right is number 12 Townview Tce. Through the electronic gates (very Private)apartment 6 is second from the end. The code for the gate is 1106. Please call prior to arrival for the code for the keys to the apartment. What Margaret River has to offer. Wineries, Breweries, Wine tours, wine showrooms, gardens, scenic walk trails, river trails, horseriding, surfing, windsurfing, caving, venison farm, cheese factory, chocolate factory, lavender farm, protea farm, Lighthouse Augusta and Dunsborough , fishing, whale watching. Sunflower farm for the children and playgrounds. Very clean, comfortable beds and little extras such as toiletries and coffee, teas. Will be back again for sure !! Very handy to eateries and the central parts of Margaret river. Very clean and well supplied. It was very convenient for two couples with two separate self contained living areas. Very good. We liked the kitchen which was well stocked with utensils and salt,pepper eggs c. Location good for walking into town. The house in Peppi Lane is ideally situated and just short walk to Town.The house and furnishings are very good and extremely comfortable particularly the beds. The bedding is great and of high quality. Had minor issue at outset which was explained and sorted out by owner. Would highly recommend this property for either a short or long stay. Stayed at Peppilane for three nights in February with my son and toured the breweries around the area. Location was great but townhouse starting to show it’s age. For example TV in main living room using a set top box that didn’t have GWN tuned in. That said, the info from the owner was timely, accurate and informative. Good price for what we got.